iThemes has just released Exchange on the WordPress plugin repository. They’ve been working for some time their new WordPress eCommerce plugin. They opened up a beta for some users about a month ago. The interface for their settings pages and the products are both very nice, but they don’t meet WordPress’ standard UI interface. I understand why, but I’m not sure I agree with the move. When I first saw the product page, I was a little confused as to what I was looking at. However, once I got the hang of it, it was relatively simple to do things. My only fear is that users may be thrown off by the change. I’m really thrilled to see that iThemes is committed to documentation from the get-go. They’ve got a complete Codex and a bunch of video tutorials to help people get started. This is going to be huge for them, as eCommerce is not an easy thing for end users. They’ve also created a community forum for free users of the plugin to get help from one another. Exchange already has a healthy number of addons available. There are a few payment gateways, including Paypal and Stripe. They’ve also put items like Digital Downloads, multi-item cart functionality, and product Categories and Tags as optional addons. Many of these are items other eCommerce providers make standard. I like this, because some stores simply don’t need that extra interface and functionality. 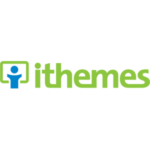 The iThemes team is definitely wanting to make their plugin flexible for end users and developers. Flexibility will help their eventual third party addon providers do more with their base functionality. Other providers like Easy Digital Downloads and WooCommerce have thrived tremendously on this model. However, they’ll need to learn which parts to make flexible based on user feedback. In my brief review of the plugin, I saw that there was flexibility there, but a few places I instantly wanted to change something, I felt like I had to override quite a lot in order to change a little. Flexibility is a fine art, and I’m confident they’ll be able to make the plugin mold quite well to various developers’ use cases over time. Overall, I’m impressed with what iThemes has put together. I think it’s a bold move into a fast-growing, but also somewhat competitive market. I’m also impressed with the degree of friendliness between all the players in this space. Finally, I think it’s hugely important that they are committing full time developers just to this project. That says a ton about the long-term potential for Exchange, and iThemes commitment to improving it. I look forward to seeing how Exchange matures, and seeing how iThemes evolves their product as more and more people put it to the test. Brian, thanks for the review! Re: the interface … our bet is that for the bulk of users they don’t want to be overwhelmed by shoving a bunch of stuff into the default WordPress Post UI like have been done so many times. The WP Post screen wasn’t meant for ecommerce, it was built for blogging and content. So we built our own from the ground up thinking how to make it easy for someone to sell their stuff (in v1 digital products) in 5 minutes or less. I believe people simply want to get their products online easily and not have to hunt to find out how to do things. Yeah, and I love what you did here! You did it for a reason (we, the users) and you did it well! Still, I see full respect for the WordPress admin UI/ UI elements. That is a really good example of when and how customizing could be done. And, it’s also a custom post type, another reason. There are also bad examples out there, breaking the UI for no reason and serving no one with it – see Jetpack as one of the worst examples. I was really amazed by looking at the Exchange admin UI, well thought, really simple, still managing quite complex tasks.